Caring Excellence honors, respects and genuinely cares for “Our Elders”. Professionally trained caregivers provide individualized services to help and inspire seniors to live to their fullest potential. We offer supportive and skilled cares allow seniors to live safely and independently. Hobbies, recreation and social activities provide enjoyment and enhance quality of life. Preparing meals and monitoring special diets ensure clients get needed nutrition. Monitoring safety needs protect seniors and medication reminders help maintain their prescribed regimen. Housekeeping, hygiene care, shopping, transportation to appointments and events, exercise and assisting with many health related tasks allow seniors to stay at home without burdening their families. Caring Excellence provides goal setting with an individualized plan of care. This keeps seniors active and helps them to overcome challenges. 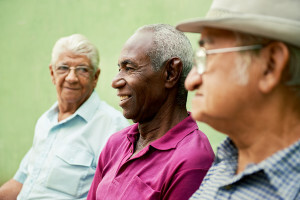 Counseling and life coaching are offered by our Master prepared social worker, helping seniors adjust to life changes and maintain a positive outlook. Older men and women have contributed so much to our society giving those who come behind a path to follow. We want to continue to learn from them and care for them. The sweetest fruit often comes from the oldest tree.